Laces allow a degree of closeness of fit and comfort that other styles of fastening can’t quite match - and they look great, too. In this part of our site, you’ll find our collection of men’s lace-up shoes. There’s a tremendous variety of them to be found here, and so you’ll be able to find a great match for a range of different situations. 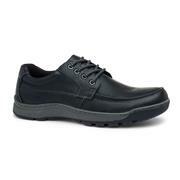 Whether you’re looking for black lace-up shoes for work, a tan-leather pair of brogues, or a rugged pair of walking boots that will chew up even the most unforgiving terrain, you’re sure to find them here. 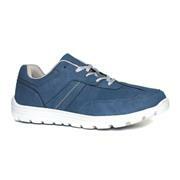 Included in this section is the work of a number of reputable labels like Padders, Beckett and Earthworks – so you can be sure that you’re getting a high quality of footwear. But this being Shoe Zone, you won’t need to pay over the odds in order to do so! 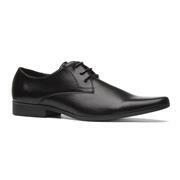 All of our lace up shoes for men come with free standard delivery right up to your door. So, whether you’re looking for men’s lace up shoes to wear to the office, to the beach, or to the gym, be sure to take a look through what’s on offer here! 140 products from £12.99 to £69.99.